One of the great things about LinkedIn is there’s always something new to learn. Hopefully, you already have your profile 100% complete, but if you don’t, make sure to read an earlier blog post I wrote about completing your LinkedIn profile. Once you’ve got the basics covered, there are a number of ways you can customize your experience to not only achieve your professional goals, but also to get more out of LinkedIn. If you wondering why a 100% complete profile is important, according to LinkedIn, users with complete profiles are 40 times more likely to receive opportunities through LinkedIn. That is huge for those of you looking for new careers or networking to grow your business. And, out of 150 million users, only 50.5% of user profiles are complete. So, if your profile isn’t complete, I suggest you make this a high priority and get it done. Click here to connect with me. Now, as promised, here are 5 more tips and tricks to help you get more out of LinkedIn. 1. Add “Sections” to Your Profile to Reflect Achievements and Experience. You’ve probably listed a summary of your career experience as well as your skills to your LinkedIn profile, but adding Projects or your Creative Portfolio Display takes it to a whole new level. It further enables you to showcase your achievements. 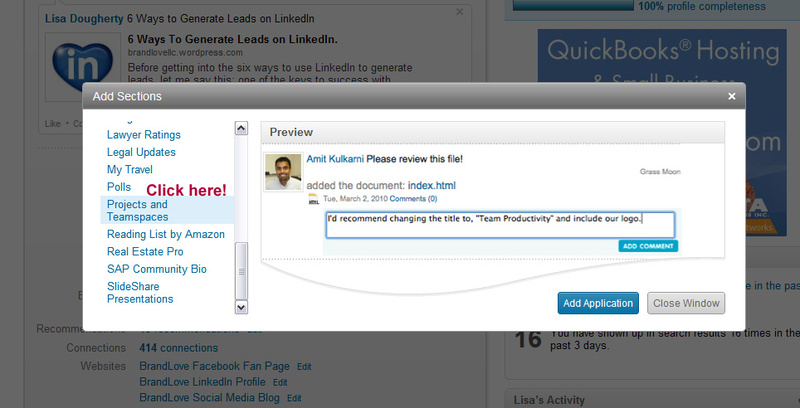 Plus, you can add a relevant URL to each project and, if your team members are also on LinkedIn, you can connect them (by name and by link to profile) to the project as well. Want to add this to your profile? Click Profile > Edit Profile. Under the primary gray box of your profile, you’ll see a new Add Sections feature on a blue background. Click Add sections, Projects and enter a project description. You may want to add other sections like Creative Portfolio Display depending on their relevance. 2. Block Connections And Group Activities From Competitors Or Your Fellow Colleagues. If you’re using LinkedIn for new business development or job seeking, it’s probably a good idea to slip into stealth mode again when you’re focused on this kind of work. In some cases, it makes sense that you’ll want to keep competitors (or current employers, if you’re job hunting) from seeing your new connections and group activity. It’s easy to do. 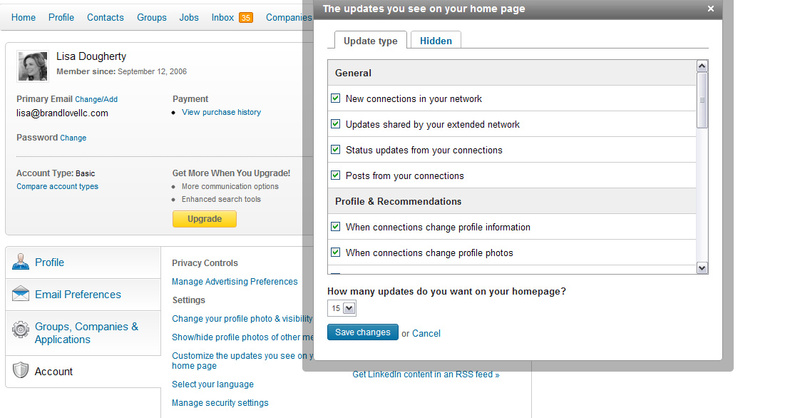 Select Settings > Account > Customize the updates you see on your homepage. In the pop-up window under General, uncheck the box that says New Connections in your network. Scroll down and, under Groups, uncheck the box next to Groups your connections have joined or created. Click Save Changes and you’re set. 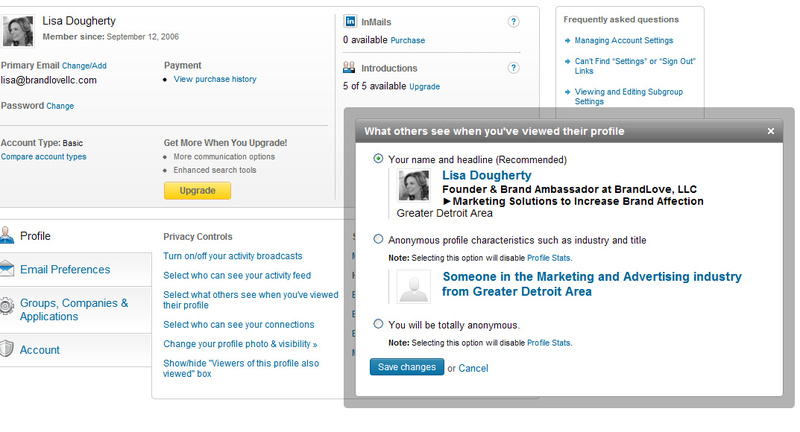 If you’re planning on creeping a bunch of LinkedIn profiles and don’t want to be seen stalking, whether for competitive research, new business prospecting or job hunting, you may want to switch your profile setting to anonymous so that individuals and companies can’t tell that you’ve been looking at their profiles. To make your profile anonymous, choose Settings > Privacy Controls > Select what others can see when you’ve viewed their profile. From there, you have three options: Display your name and headline; Display an anonymous profile with some characteristics identified such as industry and title, or totally anonymous. Once you’re done stalking profiles, be sure to switch your settings back. Keeping your profile anonymous on LinkedIn for a long period of time won’t do you much good when it comes to networking and lead generation. 4. Keep Your Status Updates Under The Radar. If you’re connecting with new business prospects or making changes to your profile in preparation for job seeking, you may not want to broadcast that activity to your network. Here’s how to hide your status updates: Click the drop-down menu under your name in the top right corner of the page, then select Settings. 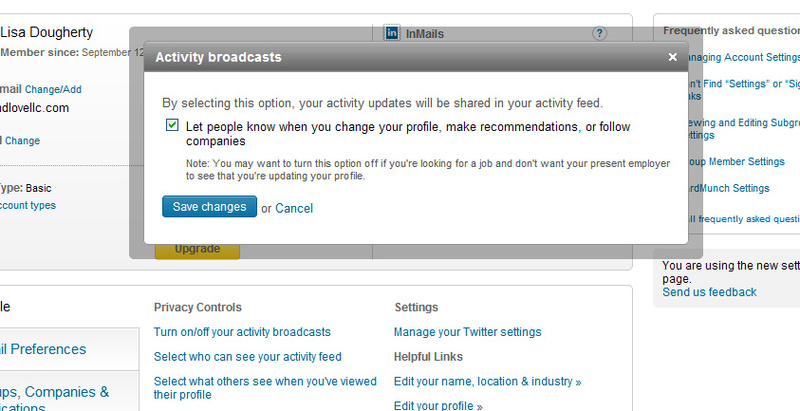 In the profile section, click Turn on/off your activity broadcasts under Privacy Controls. Uncheck the box that appears in the pop-up window and click Save Settings. Again, remember to turn this setting back on as soon as you’re done, otherwise, you’ll be invisible on LinkedIn and that kind of negates the whole point. 5. Don’t Get A Flood of Recommendations All At Once. One word. Shady. If you get a flood of recommendations all in one day, everyone is going to know you’re looking for a job. More often than not, job searching occurs under the radar. Broadcasting a bunch of recommendations all at the same time is a red flag to an employer. If you own your own business, spread out the timeframe when making your recommendations visible so your news feed is always active with positive feedback. This is great for generating new leads. Tip: The trick is to always be looking for recommendations, even when you’re satisfied with your job. That way, when you’re not satisfied, you’re already set. If you’ve done great work for a client, ask them for a recommendation via LinkedIn as soon as the project is completed. If you leave a job for another, ask all your former colleagues to give you a shout out. There are lots of ways and reasons to get recommendations, get creative. 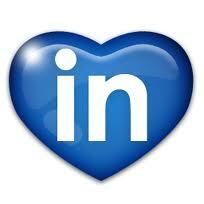 LinkedIn is a powerful business social networking site and the time we invest in this space pays off in spades. If I’ve missed any tips that you think are worth noting, leave them in the comments. Thanks Linda. I appreciate the feedback! i like that and you so beatiful. Thanks Lisa – once again great information!